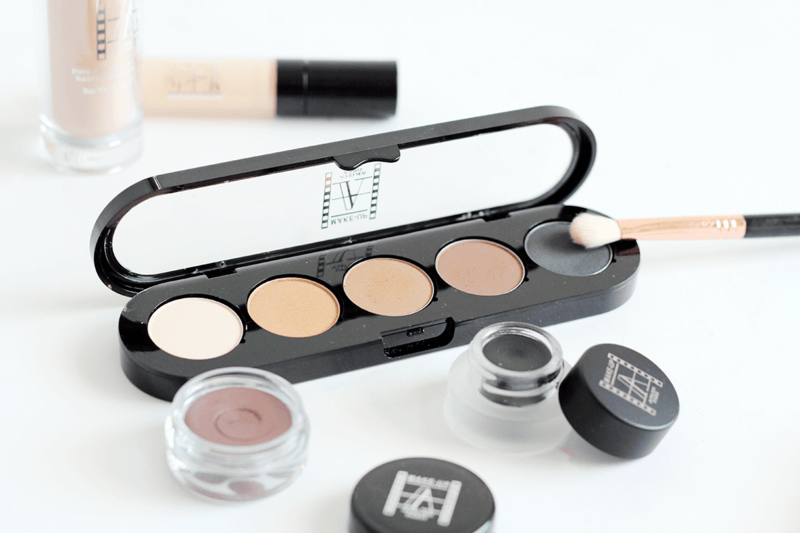 I’m pretty sure I first heard of Makeup Atelier Paris through Wayne Goss on youtube. 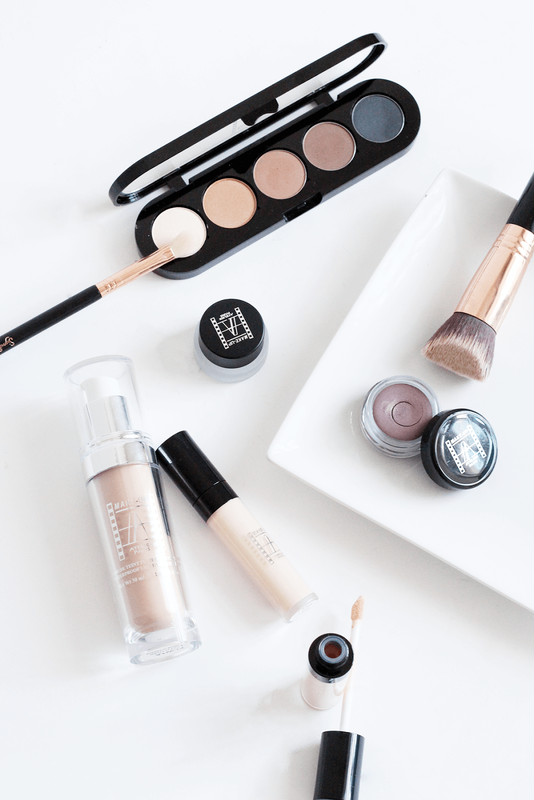 It was one of those brands I thought was exclusive to makeup artists and that’s it – not for us everyday folk! That’s where I was entirely wrong, Makeup Atelier Paris can, and should be, used by absolutely everywhere. This stuff is long lasting, pigmented and an absolute dream to use. So, let’s crack on with the review, which is mostly a face and eye related thang (lips and blush will be in another post!). Foundation is something I’m always on an endless quest for. No matter whether I’ve found ones I adore (and I have) there’s something that draws me into buying a new one whenever they pop up. The Makeup Atelier Paris Waterproof Foundation isn’t as heavy as the ones I typically use, but it still offers medium buildable coverage. It comes in so many shades, lasts all day sits really nicely on the skin, as it’s got a satin-matte finish. 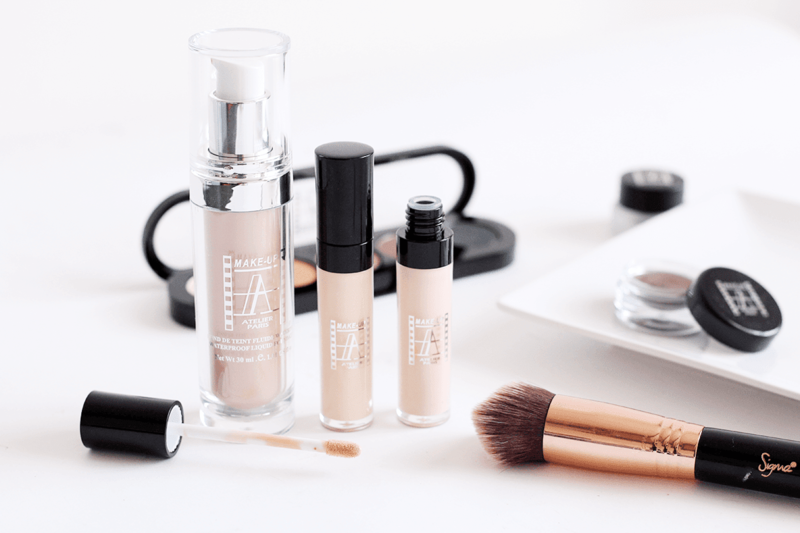 Over this, the Makeup Atelier Paris Waterproof Corrector and Concealer have been working a charm to hide dark circles and blemishes. I’m used to a cream finish, so using a liquid was a bit new to me, but they both do an amazing job at hiding those imperfections. I’ve been using the apricot toned corrector under my eyes, then using the more natural coloured concealer over this and around my face where needed. It all blends so well too! Moving on to eyes, I’ve been loving both their powder and cream shadows. The Makeup Atelier Paris Creme Eyeshadows (in shades beige rose and vert bronze) go on so smoothly and are easy to blend with a brush or fingers. They’re so long lasting and pigmented too! The Makeup Atelier Paris Eyeshadow Palette is a great combination of buttery soft neutral shades. so I’ve been wearing it a lot during the day to create a work-friendly look. Finally, I’ve got back into using a gel eyeliner, as the Makeup Atelier Paris Waterproof Gel Liner is one of the best I’ve tried! It stays black all day and doesn’t pull at your eyes when you apply it. So, so good!